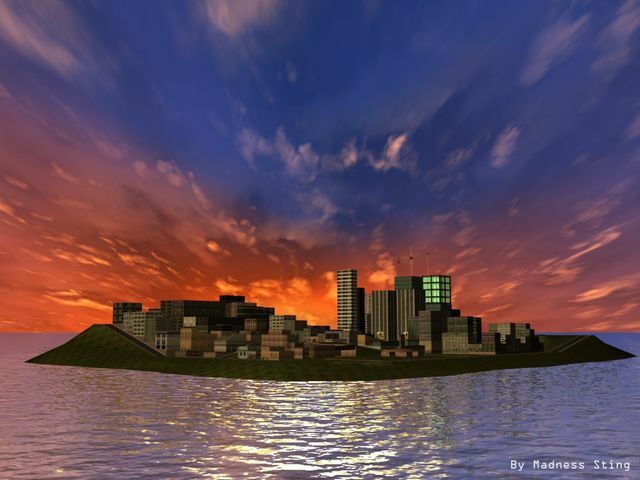 One of the best and bigger cities made for MM2. This one by Madness Sting is an isle with very good landscape, various roads, many objects including breakable ones, many kind of buildings, an under construction skyscraper with a crane, graffiti on walls and even a sort of Easter Egg to find. There are also custom loading screens, hudmap and several race modes, with one on a different isle.